Today's post, I would like to dedicate to one of my best friends from social networking circle and that is Asha S. Philar aunty. I am glad to have known her through social networks and get bonded with her so soon as if we have known each other since long time. 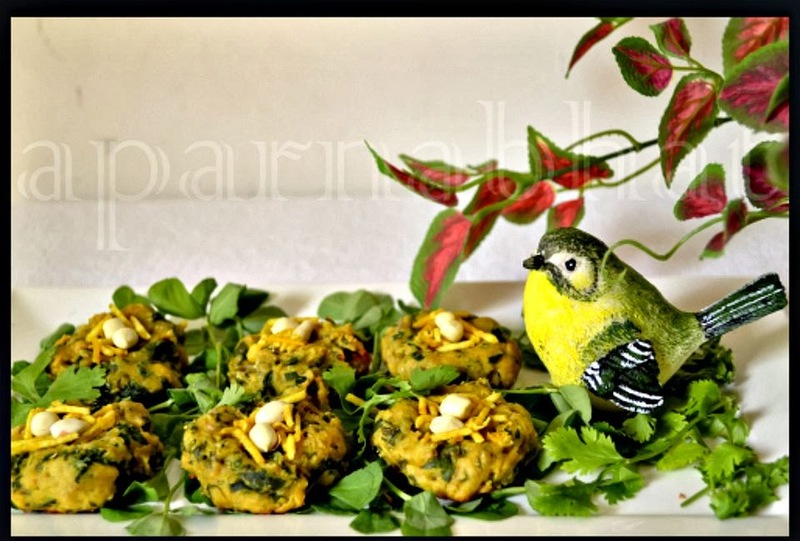 Asha aunty is highly talented lady possessing great culinary, writing and artistic skills [These are the skills I have got to know in last few months and I am sure I would come across many more as we go ahead on this journey, called friendship]. She mastered her culinary skills over the years and according to aunty its because of her interest in cooking from the early days as well as guidance received from her mom and mother-in-law. She has authored a cookbook named "The Konkani Saraswat Cookbook " which has about 450 + Amchi/Konkani recipes with versions and variations that would help youngsters, beginners [like me] and for those who already know cooking [as a reference book]. She is always excited to undertake all her activities, maintains a sense of youthful enthusiasm and an optimistic view towards life. She is the perfect example for me to demonstrate how age cannot fade the skill born out of passion. I am eagerly waiting to lay my hands on the above mentioned book and also meet aunty in person. Till that time, I jot down the recipe she shared with me and I am happy to share the same with all my readers. Birdie'e nest is one recipe she had posted on food group. 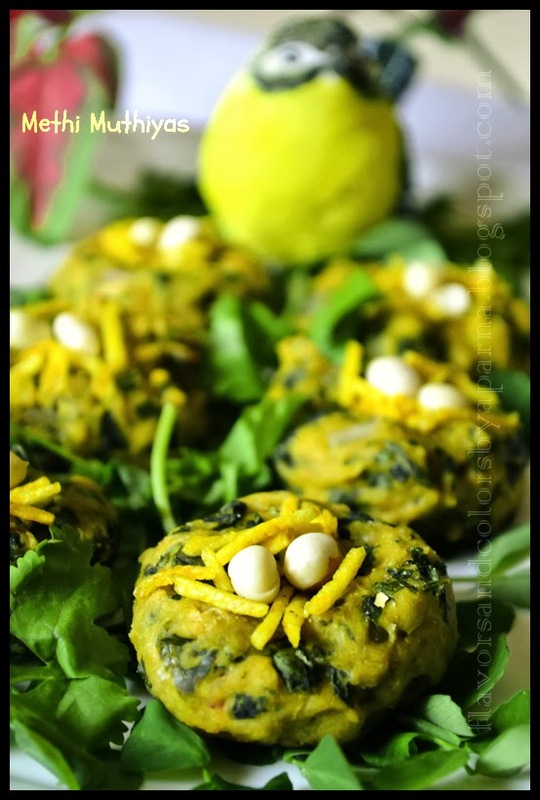 It is nothing but baked methi muthiyas given the shape of bird's nest. Ideally muthiyas are steamed or fried, but here Asha aunty in her recipe has used just a tsp of oil to bake them and come out with excellent results. An instant way to get this healthy baked snack ready on your table. Wash methi leaves, coriander leaves clean and chop them. Mix the above ingredients one by one. Boil the methi stalks separately and use the water only to bind the mixture. Mix it well until a soft dough forms. Pinch out balls from the dough, place them on greased baking tray, gently flatten each ball and make a dent in the center using the tip of your thumb. Preheat oven at 220 degree C and bake them for 8-10 minutes or until edges are brown. Methi Muthiyas are ready. Garnish them with fine sev and place 1-2 roasted deskinned peanuts in the centre and Birdie's nests are ready to be served plain or accompanied with tomato sauce.